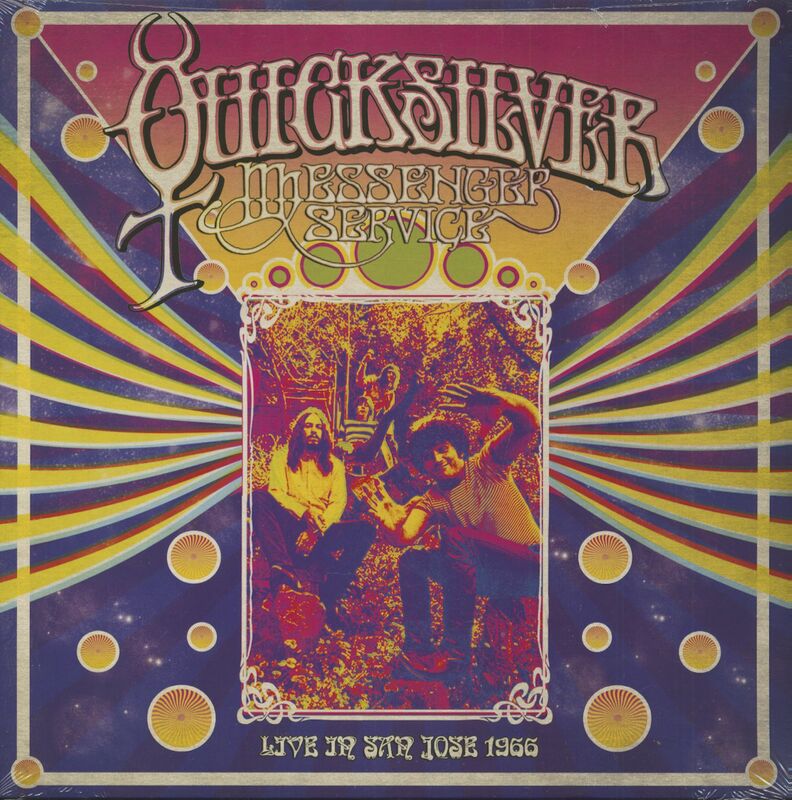 Originally formed in 1965 in San Francisco, Quicksilver Messenger Service, although not as commercially successful as Jefferson Airplane, The Grateful Dead, or Big Brother & the Holding Co, are just as responsible for establishing the "San Francisco Sound". QMS's first two albums are widely considered to fine examples of this sound in its purest form, especially their second, Happy Trails, which emphasized extended arrangements and the fluid twin-guitar improvisations of guitarists John Cipollina and Gary Duncan. The acid-rock text! That said, the debut fused shorter West Coast rock pieces like 'Pride Of Man' and 'Dino's Song', which bridged the poppish folk-rock of The Byrds to the forming San Fran ethos. 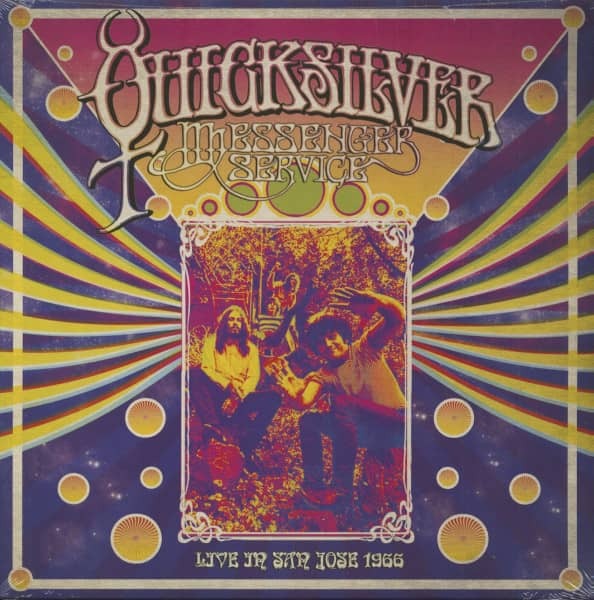 Much like their contemporaries, Quicksilver's root sound was based on folk and blues, but by mixing in jazz and classical elements, they created a distinctive individual sound that was both innovative and distinctively different. QMS featured two highly distinctive guitar players. Duncan's unparalleled melodic sensibilities and penetrating lead style combined with Cipollina's finger picking, slide technique, and individualistic whammy bar infused leads to create a clear biting sound that would literally define what it meant to be a "psychedelic jam band". By the tail end of the '60s ailing leading QMS light Gary Duncan was in poor health and temporarily quit the group. Third album, Shady Grove, which incorporated pianist Nicky Hopkins into the mix, despite some memorable material was clearly a transitional time and when Duncan returned the group relocated to Hawaii to overhaul their sound. By the dawn of the '70s, singer/songwriter Dino Valenti, who had been peripherally involved with an early line up (and the subject of 'Dino's Song'), had become the de facto leader of the group. Valenti's leadership had an immediate impact; radically changing the once heavily dual guitar indebted QMS trademark sound. Two 1970 sessions in Hawaii resulted in What About Me and Just For Love, which would become the group's most commercially successful records, eventually outselling all others in their catalogue. Growing increasingly frustrated with this new direction, John Cipollina quit, leaving the core band of Valenti, Duncan, Frieberg and Elmore soldiering on alone. QMS augmented their live performances by bringing in former Butterfield Blues Band keyboard player Mark Naftalin (soon replaced by Chuck Steaks, who plays keyboards here) and a percussionist to flesh out the new sound. For fans of the charismatic Valenti, the QMS concerts of this era were increasingly satisfying, but John Cipollina's departure was (and is) sorely missed by many. Yet, despite the absence of Cipollina, QMS were still quite capable of riveting live performances, which now featured FM radio friendly songs as well as the trademark jamming that initially marked them out. This lengthy set, recorded on the eve of The Fillmore West's closing night captures the group at this precise moment. Although uneven, the recording captures the group in relatively good form and highlights both the strengths and weaknesses that they were dealing with under Valenti's tutelage. On this memorable night in July '71 QMS performed several of the better tracks from their two Hawaiian albums as well as older choice material from Happy Trails and Shady Grove. Although Gary Duncan was often ill during this time, on this particular night he rises to the occasion. On many of these songs (not just the obvious jam vehicles of 'Mona' and 'Who Do You Love') his melodically sophisticated guitar playing is perfect, bringing a balance of old and new approaches to the group's more song oriented sound. His vocals were also every bit as captivating as they were in 1968. QMS fans will be delighted to discover a wealth of rarely performed material here, some songs destined for their next two albums and some that would never be officially released. These include a remarkable reading of 'The Truth', a Valenti-penned number that would soon be recorded for their next album and fresh live versions of 'Doing Time In The USA' and 'Mojo', neither of which would see the light of day until their 1972 album, Comin' Through. Many ('Dr. Feelgood', 'Roadrunner', 'Much To Say', and 'Ain't That A Shame') would never be officially released on their studio albums at all and several are unique to this performance. Even on the weaker songs, Valenti often has the ability to induce a hypnotic effect and Duncan's lead guitar playing consistently provides rich colourful textures to the music. Although not recorded during the band's prime their performance is an exciting addition to the final nights of rock's spiritual home in San Francisco. 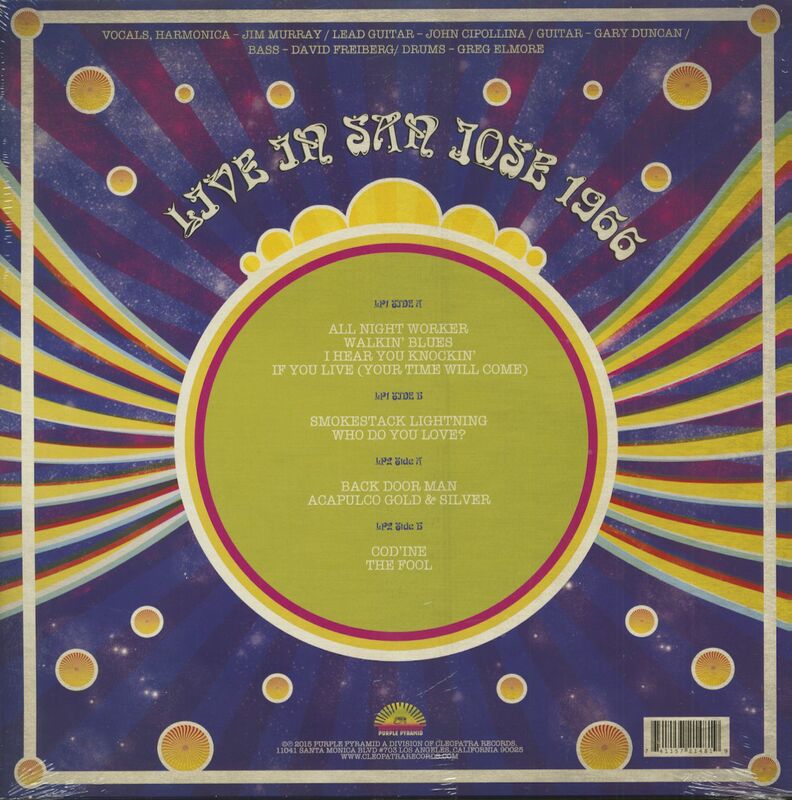 Kundenbewertungen für "Live In San Francisco 1966 (2-LP)"